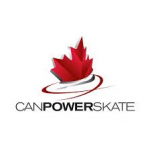 Read more about Skate Canada’s CanPOWERSkate program here. CanPOWERSkate: Maximum of 20 skaters registered on Saturday and 15 on Tuesday, combined with Pre/Can POWER or Advanced CanSkate session. PrePOWERSkate: 4+ years old, interested in developing skating skills for hockey/ringette. Designed for young skaters who are able to stand up on skates and move forward (shuffle, walk or glide). Previous experience in PreCANSkate or CANSkate recommended. 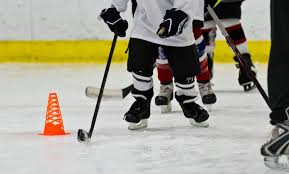 This program aims to develop basic skating abilities in a power skating-specific environment, does not teach hockey skills. CanPOWERSkate (Level 1 or 2): 6+ years old with previous hockey/powerskating experience and interested in further developing skating skills for hockey/ringette. Skater must not have passed Level 2 Gold CanPowerskate. An action-packed, high energy instructional power skating program geared to hockey and ringette skaters that focuses on balance, power, agility, speed and endurance. Ideal for skaters who are currently registered in hockey/ringette OR skaters previously registered in Skate Canada CanPOWERSkate or PrePOWERskate program.